I've tried these in tournaments and I loved them. Asked my aunt to buy me one. Oh and there are new timers now? Just when I was about to get these. Sheesh. They're pretty good though. 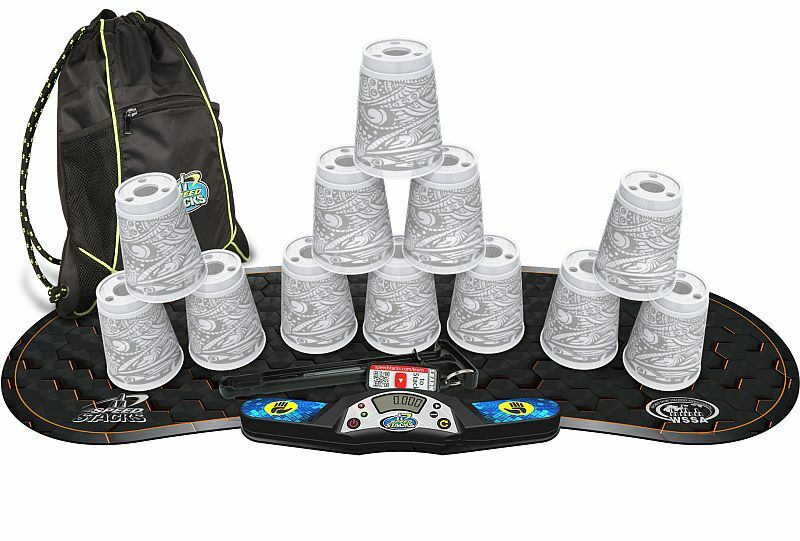 I started speed stacking when i was in physical education then i bought the cups and the cometitors set then i started doing it day and night till i could do the cycle with my eyes closed. the new Gen 3 stackmat is awesome its the perfect size to stack on But.... the Stackmat Pro Timer is not very good the timer will go to 0.006 all the time and the timer does not stay on the mat if i hit the timer it will fall off the mat and it will hit the floor i really wish there was something that would help keep the timer on mat and not come off. I got this for speed cubing and it works great! great! it saves times too. I bought this because i needed a new mat. The set is great but the mat is a little smaller than i expected. About a couple of inches shorter than the older stack mat.